We recently took a little family trip to Moab, Utah to hike in Arches National Park. For those of you who aren’t familiar with Moab, it’s in the center of a beautiful red sand desert. On the way there, I decided to make my little blue eyed, blonde haired baby (I’m still wondering where this child came from!?) a sun hat to help keep her fair skin safe while we were out hiking. In true pattern designer fashion, though, I totally mis-judged my sizing, and what was supposed to be a sweet baby sun hat turned into a gorgeous adult sun hat. At the time I was a bit bummed (probably because I do this a little too often), but now I’m SO glad! 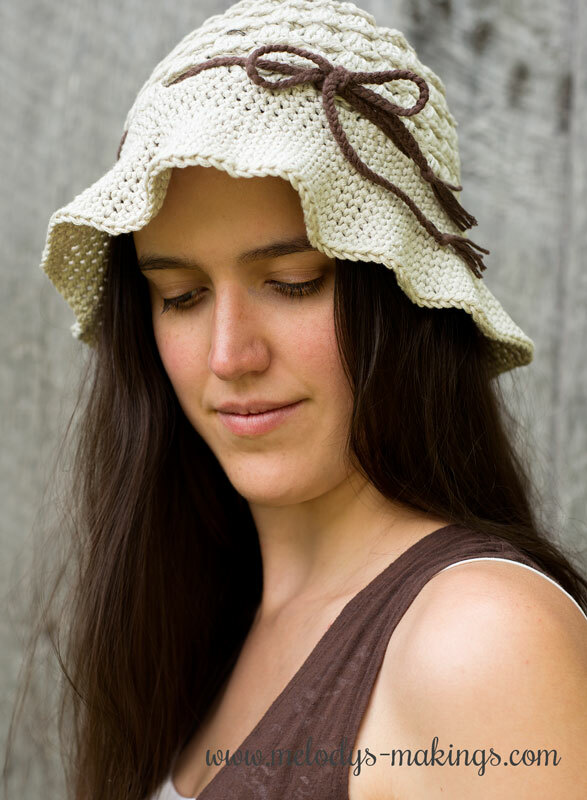 I’ve never had a cotton sun hat for myself, and this one is so comfortable, light, and cool. I love it! Plus when I get around to making another, Netherlee and I can have matching hats now. I’m really excited to be able to share the Pebble Beach Hat Pattern, in both a knit and a crochet version, with you today…..and I promise – I’ve fixed the sizing now too! 2. Head over to Ravelry, add these patterns to your favorites and queue the pattern listings. This is a great way to help designers connect with new customers, and we always super appreciate you taking that extra moment! 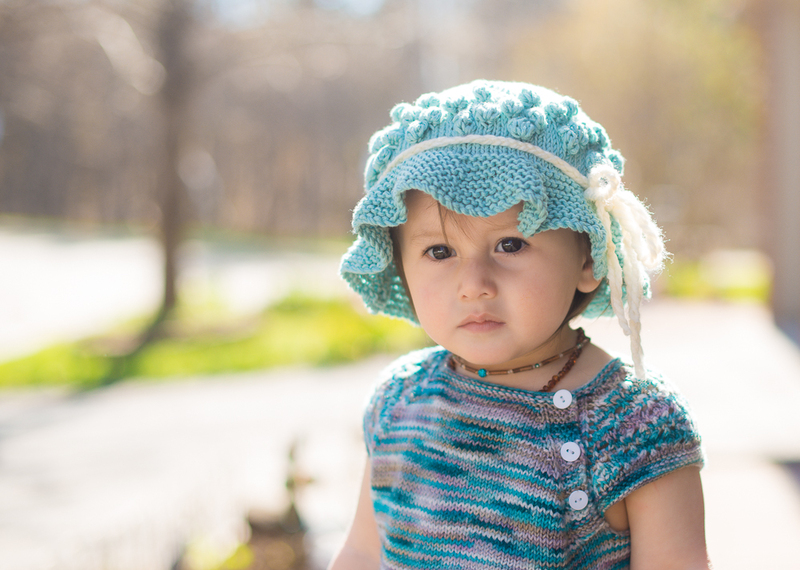 A huge thanks to Shamrock Creations for the gorgeous photos of the knit version of the free Pebble Beach Hat Pattern! Since today is Mother’s Day, it seems like an appropriate day to share this video again…..the whole reason this little business was created was so I can share each day with my kiddos. I feel like the luckiest mom around! Thanks Melody! I’ve been wanting to try to crochet again, this hat might be the one I try. Thank you and happy Mother’s Day to you!!!! where is the pattern – I already got the e-mail for it ..???? Make sure you’re reading all of the instructions 🙂 The pattern is at the very end of this post. Thank you, Melody, for the great hat pattern, and my you have a very happy Mothers’ Day, and may your yarn stash always be full. Love from Margaret. Happy Mother’s Day to you! Thank you for pattern. Hope you have enjoyable day. Hmm….Could you try another browser? I just check on two different browsers, and they’re both working for me. Thank you mama-we appreciate it! Happy Mothers day Melody!! !just (so you know you might want to twll everyone to hit the reload button and your site came right up for me after that) Thanks so much for the wonderful hat pattern I love everything you do. I dont know how you do it girl!! from the bottom of my heart have a great day momma!!!!! 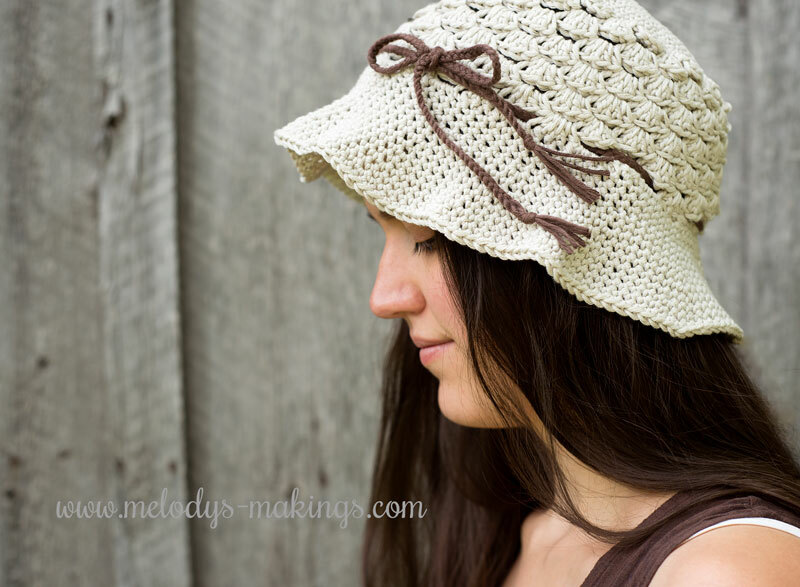 Thank you Melody, as always a beautiful pattern that I can’t wait to try! Thanks for the great patterns I cant wit to try them. Thank you Melody looks like a great pattern. 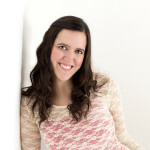 Thank you for sharing your lovely pattern, I hope you had a wonderful mothers day xoxo.. Happy Mother’s Day and thank you for the hat pattern. Thanks for the adorable pattern! Happy Mother’s Day! Thank you Melody for the sweet hat! I hope your Mother’s Day was wonderful! Mine was just fab! Thanks for the for the pattern! Happy belated Mother’s Day! 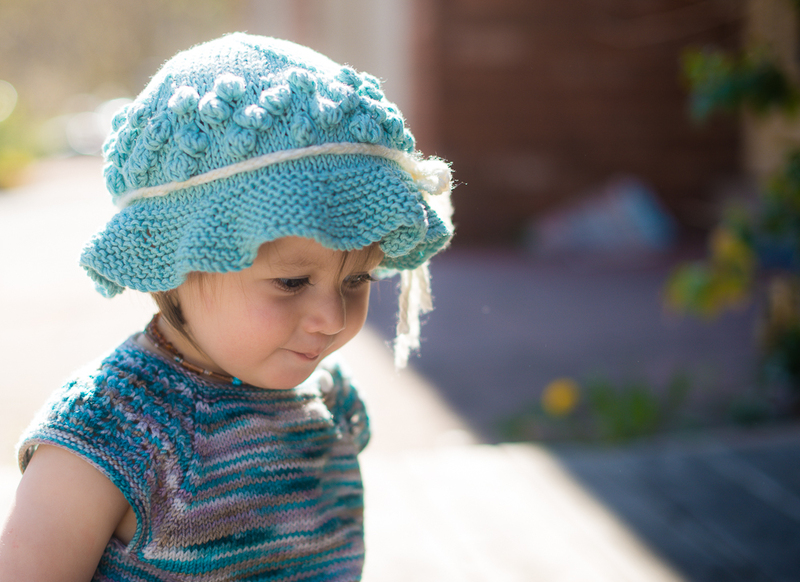 Thank you, Melody, for the free hat pattern! It’s very cute. Can’t wait to get started on one. Thank you for the pattern. Love the hat. I’m new to crochet and I’m on step 7 and having a bit of trouble understanding what you’re asking. Thank you so much for all that you do for others. I love your video…so sweet and not only you but your babies are the most adorable people, Again thank you so much for all you do…I love the way you write your patterns. I am hoping that I can find a simple beginners knit pattern to try as I am trying to teach myself to knit. Thank you for the beautiful hat pattern. Thank you, I have been making newborn/preemie hats for the hospital, it will be nice to have another style. Thank you fir the response however, I live in a smaller town on a fixed income and don’t have access to a lot of big yarn stores. Are there any substitutions? Thank you for the lovely pattern, and especially in the different sizes. Call me special but I’m a little confused on how Row 7 is to be worked. If you could give me some clarification on this, it would be greatly appreciated!! I’d be happy to walk you through it! Could you please email me at melody@melodys-makings.com and let me know if you’re working the knit or the crochet version and which size? You should be doing a chain behind each cluster from the previous round essentially….does that help clear it up at all?